Relaxshacks.com: Deek's BROCKTON, MA Hands-On Tiny House Building Workshop 2016! 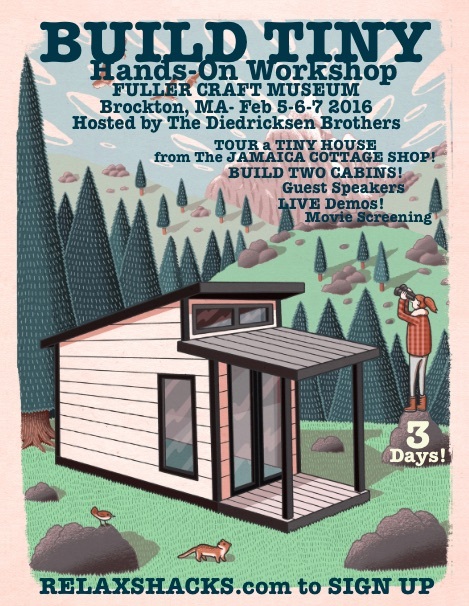 Deek's BROCKTON, MA Hands-On Tiny House Building Workshop 2016! OUR WORKSHOPS are FULLY HANDS-ON, TAUGHT BY A DUO WHO HAVE HOSTED AND DESIGNED FOR HGTV and THE DIY NETWORK, HAVE BEEN FEATURED IN THE NY TIMES, and are SO FUN and eclectic, that we have MANY people who have attended these workshops two, three, and even FOUR times! Well, its pretty thrilling that a museum that I hold in high esteem, and one that is gorgeous, has asked us to host a Hands-On Tiny House Building Workshop! Naturally we said YES! This time around, we have more space than we know what to do with- ALL indoors (don't worry, you won't freeze to death! 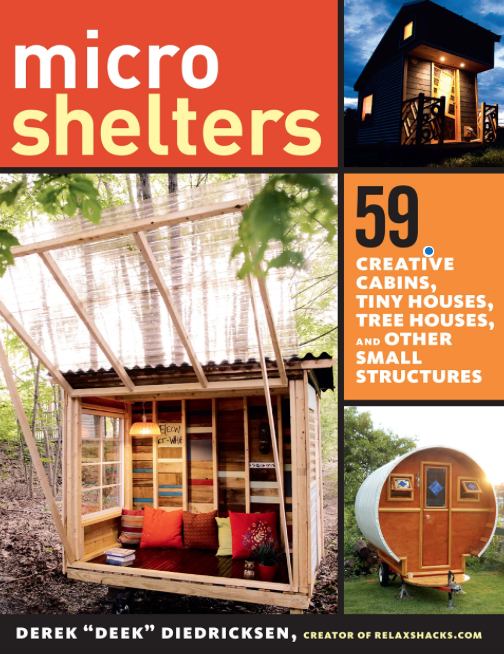 ), and we'll be tackling TWO, if not THREE, tiny cabin and shelter projects- all roping in the know-how you need to build a tiny house, shed, tree house, cabin, or funktified fort! EVERY workshop we've done since 2010 has sold out, so don't delay. We're limiting this one to 40 or so students- this way everyone will really be able to take part, get their hands dirty, and ACTUALLY BUILD with our multiple projects. Better yet, one of the cabins we build will also become an art display for their museum in an incredible secluded courtyard right within the building! AND.... while we're still working on announcing our guest speakers, live demos, and more (don't worry, it'll be awesome! ), We DO have the line up for Day One- Friday. TOUR a tiny house courtesy of Domenic Mangano from THE JAMAICA COTTAGE SHOP! A film screening of "We The Tiny People"
LIVE painting by Annmarie Sherrick, Carolyn Corrente, and Ellen Rolli!!!! 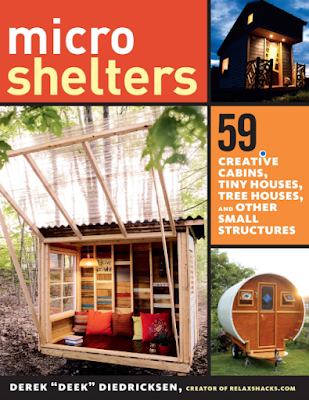 And a talk from Tiny House Builder/Dweller Vera Struck (www.silverbullettinyhouse.com)- who built her tiny house at age 65! BUILDING and design! LOTS! More guest speakers, and more surprises!!!! The ratio of builders to attendees will be approx. 1:7, which is GREAT! And "No shows, no notice"- no nuthin'.